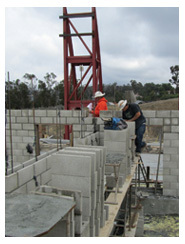 The primary objective of Task Order 35 was to produce a new technical brief addressing the analysis and design of Special Reinforced Masonry Shear Walls for building structures in regions of moderate and high seismicity. This technical brief is a synthesis of model building code requirements and leading practitioner-recognized techniques, resulting in clear and concise analysis, design, and construction guidance for use by practicing structural engineers. The primary objective of this task was to produce a new techbrief addressing the analysis, design, detailing, and construction of structural wood roof, floor and wall diaphragm systems for use as lateral load-resisting systems in buildings in areas of moderate to high seismic activity. This techbrief synthesized model building code requirements and leading practitioner-recognized techniques, resulting in clear and concise analysis, design, and construction guidance on structural wood diaphragm systems for use by practicing structural engineers. 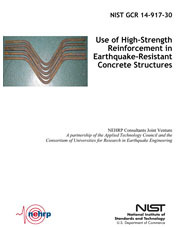 The purpose of this report is to document a recently completed study to evaluate whether using reinforcement with yield strength greater than 60 ksi in structural members that resist earthquake forces is appropriate in the United States. 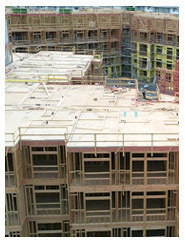 The current standard for reinforced concrete design, ACI 318-11, Building Code Requirements for Structural Concrete and Commentary (ACI, 2011), allows the use of reinforcement with a specified yield strength of 80 ksi for flexure and confinement, but limits the specified strength of reinforcement to 60 ksi in special moment frame and special structural wall (shear wall) design.